When I was pregnant for the first time, I knew I wanted to avoid all conventional medications, but I had no idea there were safe alternatives for common pregnancy ailments. Instead, in an effort to avoid any potential toxin, I would suffer through any discomfort I experienced. In fact, I was so opposed, I wouldn’t even use chapstick for dry lips or local pain relief for sewing a tear during labor (OUCH!). I even avoided full doses of prenatal vitamins out of fear (and ignorance) of vitamin A toxicity, which is very real. However, my superficial understanding of the issue led to complete avoidance. This resulted in a decreased immune system which contributed to my contracting the flu and food poisoning with both of my pregnancies. Ironically, the fever from the flu and the dehydration from food poisoning probably posed a greater risk to my babies than the chapstick would have. This was no doubt frustrating for everyone in my family who had to watch me wallow in stubborn distress and is a great example of how a little bit of knowledge can lead to good intentions with some very negative results. What About Using Herbs During Pregnancy? Now that I’ve had extensive nutrition and herbal training, I have a much healthier toolkit of vitamins, minerals, and herbs that are considered safe for use during pregnancy. Herbs that are not just for maintaining proper nourishment and immune function, but also those that aid in common pregnancy discomforts. However, being sort-of educated on herbs can also lead to using the wrong ones during pregnancy and nursing, and although there are many herbal formulas that are safe during pregnancy and nursing, I want to share some specific herbs to avoid to ensure the safety of you and your baby. Why Use Herbs At All? You may be wondering, if all herbs aren’t safe during pregnancy, then why not avoid the risk of making a mistake and just rely on regular, approved pharmaceuticals instead? I mean, they’re convenient, you don’t have to remember which herbs are safe and which aren’t, and they’re readily available. Herbs or not, there are many reasons to be cautious about pharmaceuticals during pregnancy. Contrary to our ultimate-trust-in-doctors cultural paradigm, commonly used meds have the potential to be harmful when used during pregnancy (Mølgaard-Nielsen et al., 2016). When I was pregnant, the FDA divided medications into different pregnancy safety classes. These classes were generally divided into medications that had been proven safe, those that had been proven unsafe, and those that hadn’t been researched as far as pregnancy safety was concerned (Consumer Updates, n.d.). One would hope that only the first group of drugs would only be prescribed in pregnancy, but many doctors have been known to prescribe the second and third groups as well (Desai et al., 2014). I’ve personally experienced this in both of my pregnancies when I was urged by family to go to the doctor when I contracted the flu, and both times the doctor prescribed medications that were proven unsafe in pregnancy. In 2015, the FDA updated the pregnancy drug class label categories for easier consumer interpretation, but my guess is that the prescription protocols from doctors are still the same (Consumer Updates, n.d.). If I hadn’t already been a skeptic, I would have taken unsafe pharmaceuticals in both pregnancies. And just like many people don’t know to be skeptical about pharmaceuticals during pregnancy and nursing, many think that all herbs are safe during pregnancy. This is an essential example of why empowering yourself with knowledge of herbs to avoid during pregnancy and nursing is crucial to advocating for your own health in both the pharmaceutical realm and the herbal realm. Before relying on herbs for health, the best thing you can do for health during pregnancy is to eat enough whole foods (including healthy unsaturated and saturated fats) at least 75g of clean protein daily, and as many servings of vegetables of as many colors of the rainbow as possible. 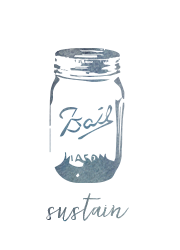 Water should also be consumed as much as possible. These simple steps can alleviate many pregnancy symptoms, including the risk of gestational diabetes and preeclampsia. When taken, herbs should be used as needed in supplement to a nutrient-dense, whole food diet. Should I Avoid All Herbs During Pregnancy? The natural medicine pregnancy guru is medical doctor and clinical herbalist Dr. Aviva Romm, and the recommendations below come from her book, The Natural Pregnancy Book, as well as my education at the Chestnut School of Herbal Medicine. As with most things, there are personal choices you will need to make. Many studies showing certain herbs to avoid during pregnancy were done using very high doses, or the evidence comes from a specific case of someone trying to purposefully terminate their pregnancy. Always carefully consider the study being used, and figure out your own comfort level. Keep in mind that stress is also harmful during pregnancy, so it’s better to make the decision that will cause you the least inner turmoil. And along those lines, try not to let anti-allopathic idealism (ahem) prevent you from going to the doctor during an emergency such as persistent bleeding, several pelvic pain, or any other signs that your instincts tell you are just not right. I recommend always working with your doctor before deciding to take any supplement or herb, especially during pregnancy. Always listen to your intuition, and use caution, mama. The below guidelines are intended to empower you to make smart, educated, safe decisions during pregnancy and nursing, not scare you away from all herbs. 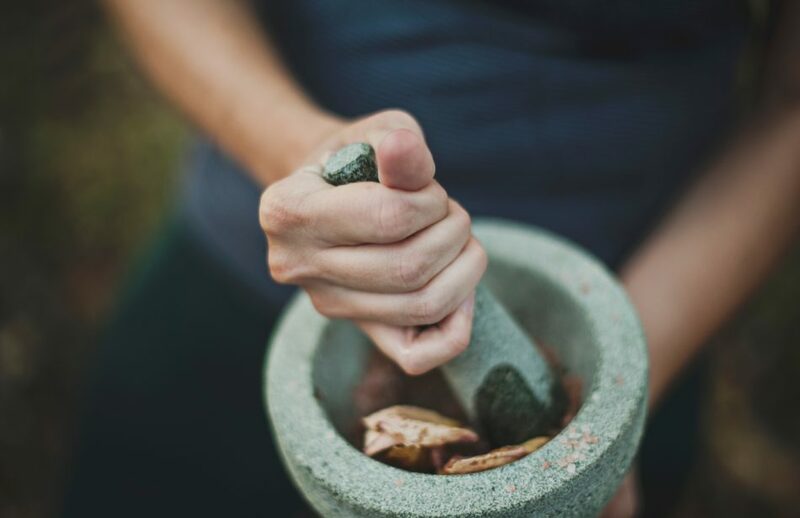 While working with an herbalist can help you identify other stronger herbs for more serious ailments that might work for you, several herbs are generally considered safe for pregnancy. 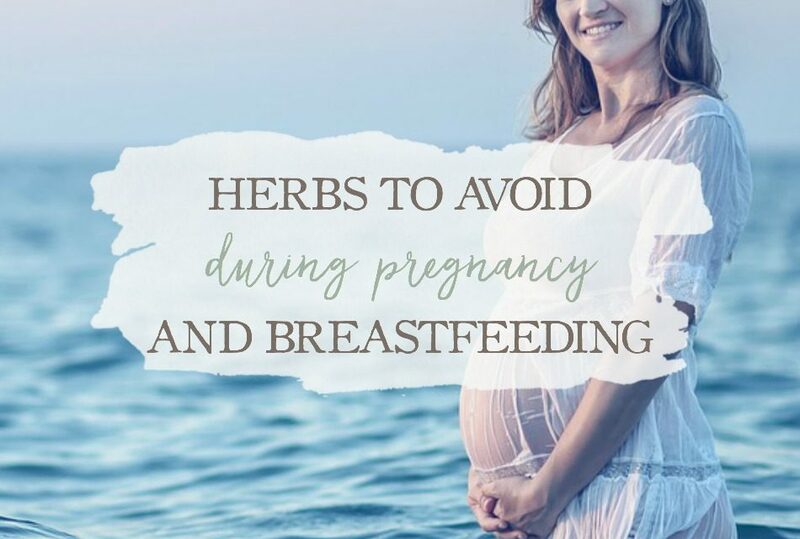 In addition to the above guidelines, there are other entire categories of herbs that should be avoided completely during pregnancy, nursing, or both. How To Know Which Herbs To Avoid During Pregnancy? As I mentioned earlier, unless they are absolutely necessary, try to avoid all herbs completely during the first trimester. Also, some of the herbs listed below are common cooking spices, and many people wonder if they should avoid them while cooking during pregnancy. To easily answer this, just remember… dose matters. Culinary amounts of cooking spices are totally fine during pregnancy and nursing, but it’s the therapeutic ranges of the herbs below that need to be avoided. Another thing to keep in mind is, if an herb poses the threat of preterm labor or damage to the developing baby, it should be avoided completely. While those risks may sound rare and extreme, there are actually many categories of herbs that fit that description and put certain plants on the list of herbs to avoid during pregnancy. If an herb stimulates contractions within the body, including uterine or digestive system contractions, they could lead to premature labor and should, therefore, be avoided. Emmenagogues/Uterine Stimulants: The term “emmenagogue” can mean different things to different people, and I have seen it misused by well-trained herbal practitioners. In general, it’s referring to an herb that stimulates menstrual flow, which you definitely want to avoid during pregnancy. Obviously, if an herb stimulates the uterus you want to avoid it during pregnancy. Emmenagogues/uterine stimulants include the follow herbs (This list is not an exhaustive list, so make sure and do your research): Angelica, ashwagandha, basil, bee balm, black cohosh, blessed thistle, blue cohosh, calendula, cotton root, dong quai, feverfew, goldenseal, motherwort, mugwort, osha, parsley, pennyroyal, rue, sage, trillium, vervain, yarrow. 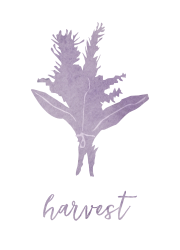 Abortifacients: Again, if an herb brings about miscarriage, you don’t want to use it during pregnancy: Pennyroyal, rue, and tansy. Stimulating Laxatives: While these don’t directly act upon the reproductive system, stimulating peristalsis in the digestive tract can sometimes translate to contractions in the uterus. In fact, the use of castor oil to bring on labor in late pregnancies is very common. However, you want to avoid these in earlier stages of pregnancy: Aloe leaf, buckthorn, cascara sagrada, senna, turkey rhubarb, and high doses of yellow dock. You may have noticed some herbs on this list are commonly used in the third trimester to promote contractions and labor. Because they stimulate contractions in different parts of the body, they are very effective at this, and during labor and/or after birth, these herbs can be used safely if they are indicated, with one exception: laxatives. 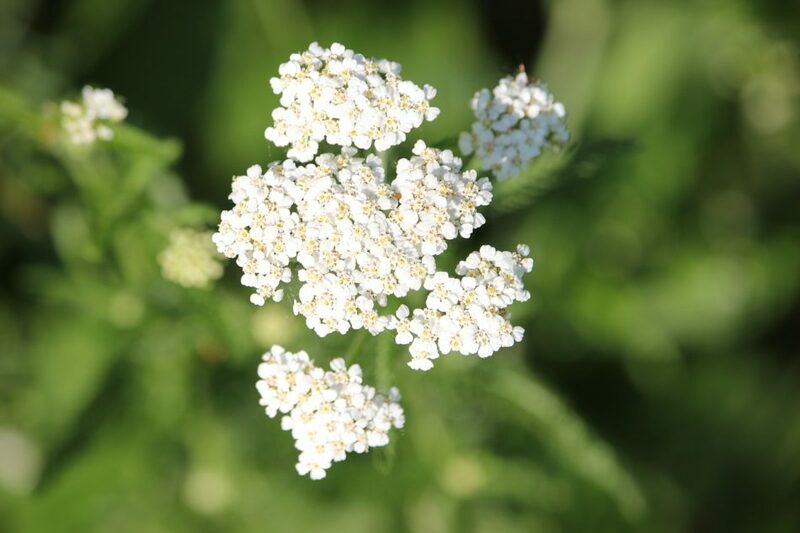 If an herb contains constituents that can present harm to the baby, it should be avoided not only during pregnancy but also during nursing to avoid passing that constituent on to the baby. Many of these herbs are harmful because of dose-dependent effects on the smaller baby. As in, their tiny little organs just can process the chemical as efficiently or at the same dose we can, so they should be avoided. Stimulating Laxatives: If a laxative contains a chemical that passes through breast milk, it should be avoided not only in pregnancy but also during nursing (see laxative list above). 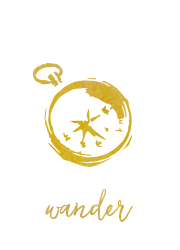 Phytoestrogenic: Because herbs with phytoestrogenic properties can potentially affect the development of the baby, it’s a good idea to avoid them during pregnancy and nursing. This category of herbs is controversial due to the fact that some phytoestrogenic herbs are used commonly used in pregnancy and nursing formulas, but this is one of the categories where you need to ask yourself if the benefit of the herb is worth the risk, if there are other, safer yet effective herbs, and where your personal stress levels lie. 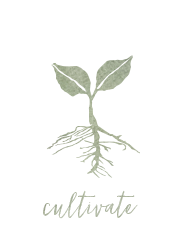 Common phytoestrogenic herbs include: Black cohosh, cotton root bark, dong quai, fenugreek, hops, licorice, lady’s mantle, peony, red clover, sarsaparilla, trillium, and vitex. Teratogens: These are herbs that contain alkaloids that are strong and, therefore, can interfere with fetal development (This list is not an exhaustive list, so make sure and do your research): Arnica, ashwagandha, barberry, black cohosh, boneset, blue flag, buckthorn, calamus, California poppy, cascara sagrada, damiana, elecampane, ephedra, eucalyptus, frankincense, gotu kola, horehound, juniper berries, kava kava, licorice root, lobelia, lomatium, mimosa, mugwort, myrrh, Oregon grape root, osha, periwinkle, pleurisy, prickly ash, stillingia, thyme, vervain, and wild indigo. Low-dose Toxic Herbs: These are herbs that, when working with an herbalist, can be used safely with adults, but they need to be avoided during pregnancy and lactation because a baby’s body is smaller: Anemone, black walnut, bloodroot, blue cohosh, lily of the valley, mistletoe, poke root, and thuja. Pyrrolizidine Alkaloids : Pyrrolizidine alkaloids (PAs) are found in certain herbs that have been shown to causes liver damage that can lead to death. 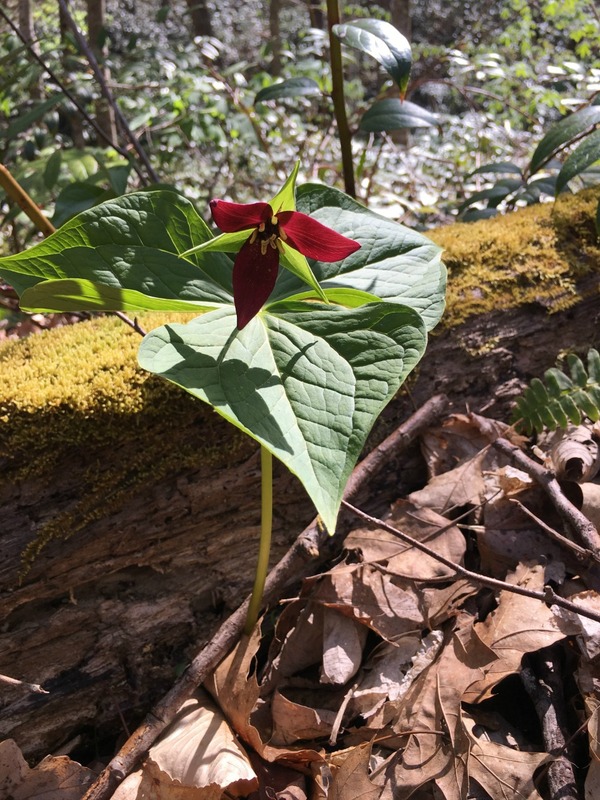 This is a super controversial topic in herbalism, and for adults, internal usage is a personal decision and recommendations vary from herbalist to herbalist. However, because of the risk, any herb with PAs should be avoided during pregnancy and lactation because the baby’s body is smaller and has impaired ability to process the PAs. Herbs high in pyrrolizidine alkaloids are: boneset, borage, butterbur, coltsfoot, comfrey, and Joe Pye Weed. How Can I Remember All This Information? Admittedly, all this information is intimidating. 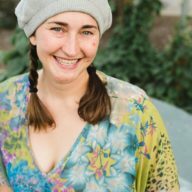 The advice my herbal teacher, Juliet Blankespoor of Chestnut School of Herbal Medicine, gives is to assume every herb is contraindicated in pregnancy and lactation and then do the research before you use it. You can print the above lists off, fold them up, and keep them in your wallet. However, these are not exhaustive lists. 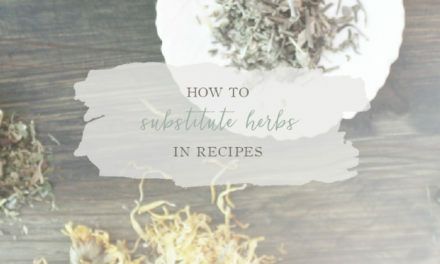 You can print the above “safe” list off and stick to those herbs, or you can work with an herbalist during your pregnancy. Here’s another article on how to tell which herbs are safe during pregnancy that may clarify some questions you have as well. The take-home point is to not assume that just because an herb is “natural,” that it is safe for pregnancy and nursing, and to remember that there are some herbs to avoid in pregnancy. Be sure to pin this post to your Pinterest boards and to share it with your friends via social media using the social share buttons below. Romm, A. J. (2014). 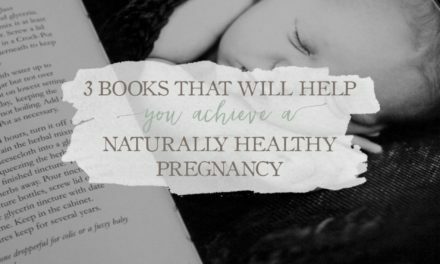 The natural pregnancy book: your complete guide to a safe, organic pregnancy and childbirth with herbs, nutrition, and other holistic choices. Berkeley: Ten Speed Press. Lori Valentine Rose, PhD, CNP, BCHN, RH (AHG) is a college biology, nutrition, herbal, and wellness instructor, board certified nutrition professional and holistic nutrition consultant, registered herbalist, wife, mother, organic vegetable, fruit, and medicinal herb gardener, school garden planter, city class teacher, and passionate Zumba dancer! She created, developed, and instructs the Hill College Holistic Wellness Pathway, the most thorough, affordable, degreed wellness program in the country. She loves spreading love and light, and helping others feel awesome on the inside and out so they can live their dreams and make this world more awesome! 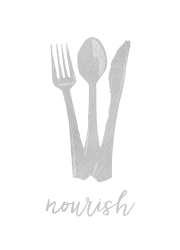 Learn more about her private practice and NANP-nutrition/AHG-herbal mentorship programs at www.loriroseholistic.wordpress.com. I take Dr. Christopher’s Mindtrac every day to manage generalized anxiety and depression. It works amazingly but am concerned about what to do if I want to get pregnant. Which I will want to do in the next year. It’s a concoction of a lot of herbs. Some on your lists above some not. Will I have to stop taking it for a couple years while I am pregnant and nursing? I’m concerned I’ll get really depressed and anxious again. And pharmaceutical medicine is really really rough on me. This would definitely be something to see a clinical herbalist about when the time comes. Some herbs are okay to take while pregnant under the supervision of an experienced herbalist and with your midwife/OBs monitoring and permission. There are also other herbal and natural therapies that can be used to help with anxiety and depression that may be more suitable for you when you become pregnant that may work just as well. Dr. Christopher products are great, though. I wonder if they have a line of products for pregnancy? 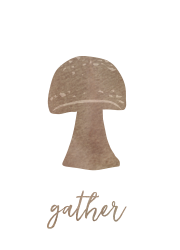 Maybe look into Wishgarden herbs. I know they have some geared towards mamas. Best of luck, Lana!! What an amazing article – this would have been exactly what I was looking for when I was pregnant! I took fenugreek to help with milk production, but I think it actually slowed things down for me. Thanks, Pris! I’m glad it was helpful to you. 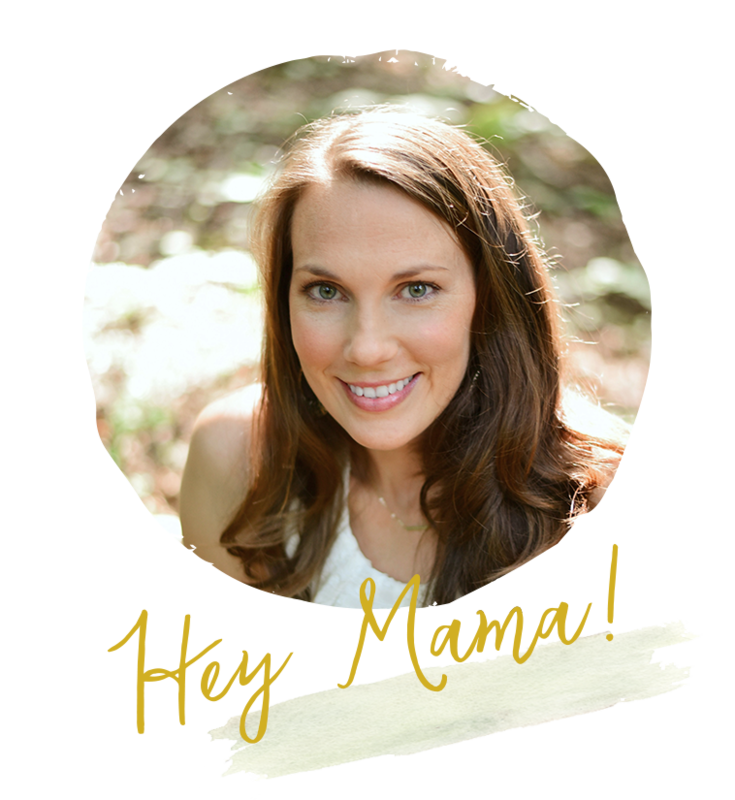 Feel free to share with other preggo mamas you come across! If it’s recommended to avoid it during pregnancy, then I would avoid it. It’s not worth the risk and there are other herbs that you could substitute. 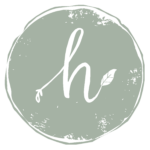 Here are some blog posts on herbs and pregnancy that you may want to look at to better understand which to avoid and why. 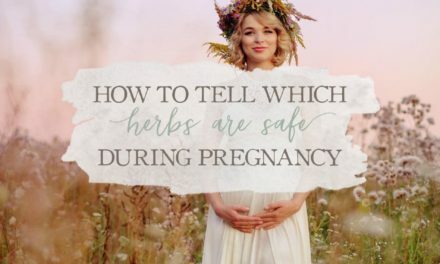 https://www.growingupherbal.com/which-herbs-are-safe-during-pregnancy/ and https://www.growingupherbal.com/herbs-to-avoid-during-pregnancy-and-breastfeeding/ Hope these help! I am having symptoms of some little buggie in my GI tract… my symptoms of this in the past have been burping and mild nausea/stomach upset. I have not had many issues with morning sickness and these are symptoms that I am familiar with from past tummy bugs. In the past, I have cleared this issue up within a few days with black walnut tincture 3x a day, but now that I’m 11 weeks pregnant, is there a safe herbal alternative that is as effective? Thank you! If you think you have a stomach bug, do some research on activated charcoal and echinacea as these two products can help with bacterial infections. If you think the condition is a viral illness, elderberry is a good fit in that instance. You can also look into ginger to help with mild nausea. As always, do your own research and check with your obstetrician just to be on the safe side.